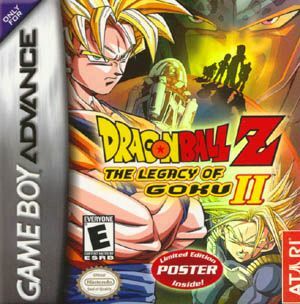 Dragonball Z the Legacy of Goku II is the latest Dragonball Z game to land on the Gameboy Advance and Gameboy Advance SP that not only provides gamers with an epic adventure but some of the best fun to have ever graced the console. The game is a cross between an role-playing game (RPG) and an action game. 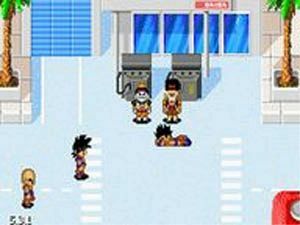 The game can be compared to games such as Final Fantasy, Jade Cacoon and the previous game of the series called Dragonball Z the Legacy of Goku. In Dragonball Z the Legacy of Goku II, you play the role of five central characters to the Dragonball mythos that include Trunks, Vegeta, Piccolo, Gohan and Goku who have been warned from one of their future sons that the Earth will be destroyed by androids if they do not prepare themselves. The characters have been given a 3 year warning and they must now embark on a vigorous training schedule to prepare themselves from this unknown threat. The game contains various submissions that must be completed by different characters that eventually join up to the main storyline. A mission may involve finding children who have been in a bus accident and are now lost in a deadly forest or finding items for key characters in the game. As with all Dragonball Z games, your characters have different abilities that must be used in conjunction with each character. For instance, Gohan can channel the forces of the Dragonball to become an unstoppable warrior until his power meter runs out. Other abilities include power blasts and various martial arts skills that must be used against your enemies in the game. As with all good Dragonball Z games, there are various bosses and powerups that are littered throughout the entire game. Your first character starts at level one and must slowly build his skills up. This is done by defeating enemies that award your characters with experience points that are then used to increase your hit points and power points. 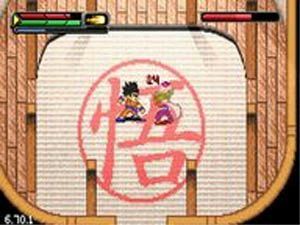 Graphically, Legacy of Goku II looks amazing on the Gameboy Advance SP and also contains a variety of special effects such as weather, lighting and fighting effects. The characters themselves are extremely detailed, although made up of sprites, they look quite impressive and detailed. The game also contains a variety of enemies that range from wild wolves, deadly robots and highly intelligent androids that look like humans. When talking to characters, their face appears on the screen and beneath them is the text that they are talking. Every character that you interact with looks different and all these faces give them their own unique appearances. The combat effects in the game are also quite impressive and you can actually see your characters kick, punch and use their power against enemies. 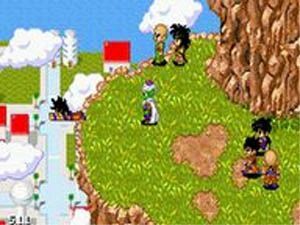 The soundtrack of Legacy of Goku II comes straight from a Japanese RPG and is perfectly suited to the game, although the musical score uses MIDI music, it sounds perfect on the GameBoy Advance SP. There are also a variety of other sound effects such as punch sounds, kicks and power blasts that almost sound like they are directly taken from the cartoon series. Dragonball Z Legacy of Goku II isn't a good game or a bad game...no... far from it actually, it is actually an amazing game that would not only be loved by fans of Dragonball Z but anyone who loves an in-depth RPG that has been beautifully designed for the GameBoy Advance SP. Highly Recommended!